Top cropping is a useful way to harvest clean, fresh and healthy yeast, it's done while the yeast is actively fermenting and it's best pitched immediately into a new batch of beer. When working with yeast, it's best to be as sanitary/sterile as possible. Chemical sanitizers (like Starsan) are useful, but using heat to sanitize should be better again. 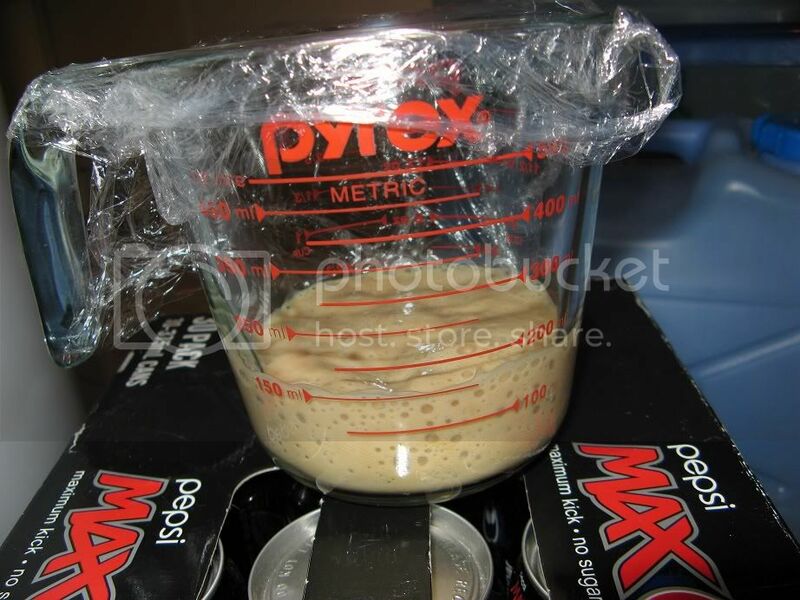 The only equipment needed to top crop yeast is a suitable spoon and container for the yeast. 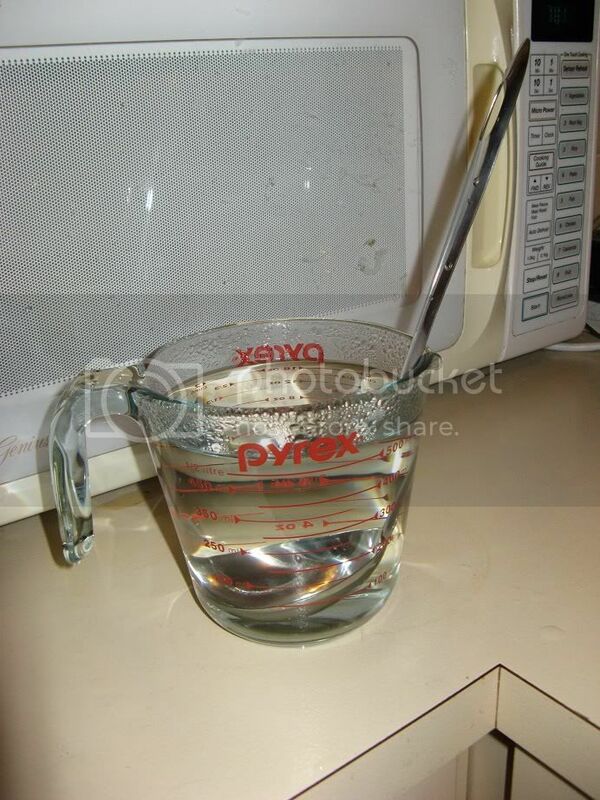 An all-stainless ($2 Asian soup-serving) spoon and pyrex jug work well, and can be heat-sanitized (in boiling water for 15mins). While the actual top cropping procedure is deceptively simple, it does require a few things to 'go right' before it can be attempted. Firstly you need to be working with a yeast that allows top cropping; during the active fermentation phase, the yeast will float on-top of the wort with a sizable, active, 'rocky' type head. 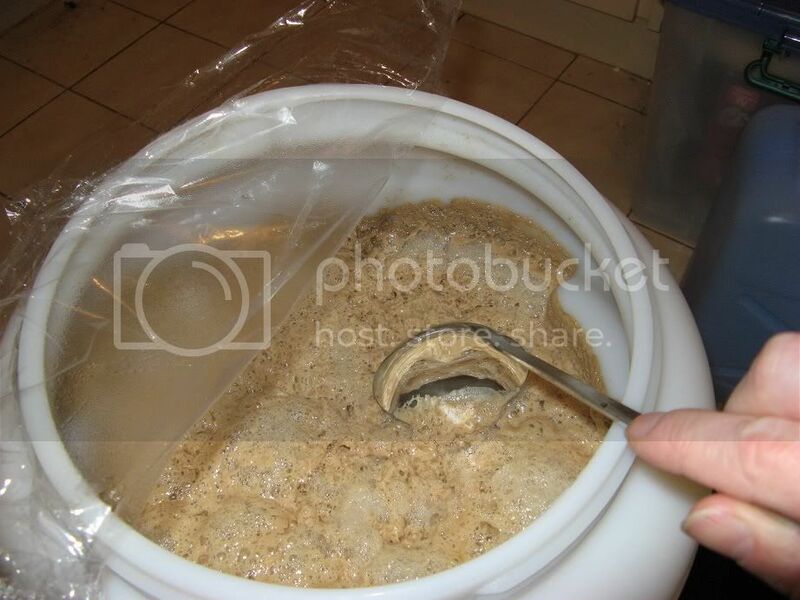 The yeast (most often top-fermenting Ale strains), wort, temperature and other factors will determine if top cropping is possible (sometimes it may even be possible to top-crop a bottom-fermenting lager strain). 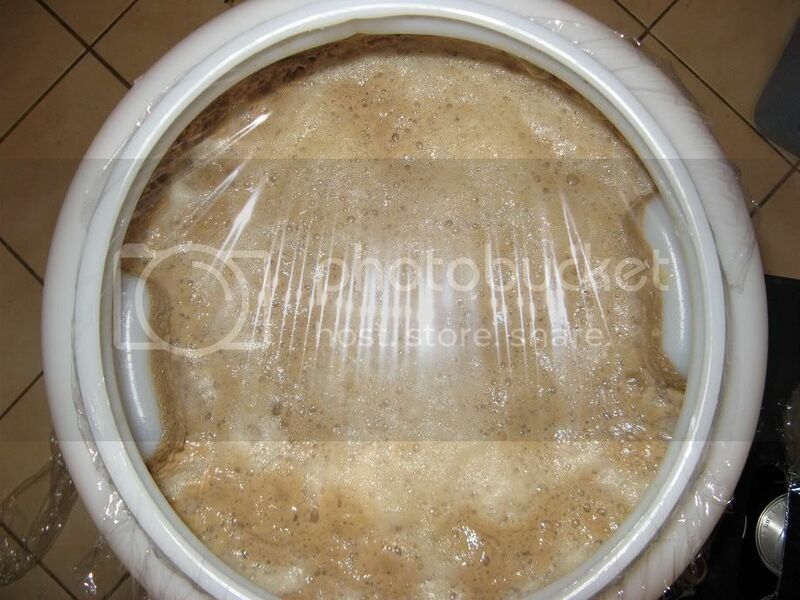 The trick to successful top cropping is getting the timing right, you want to top crop the yeast when it's most active, when there is a large amount of healthy fresh yeast floating on-top of the wort, usually this time is called 'high krausen'. 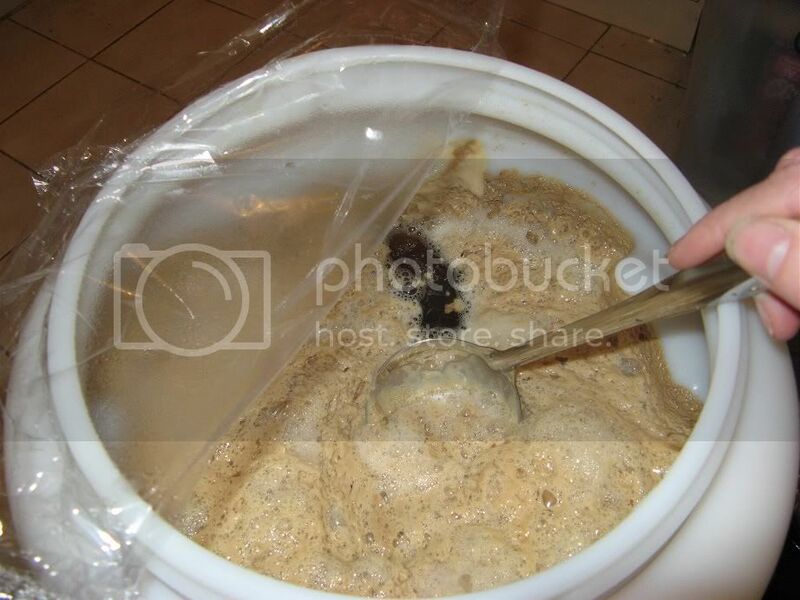 In some situations this might be over a 2 or 3 day period, in other cases it might be a matter only just hours, attempting to top crop to early or too late will not work if there is not sufficient yeast to harvest. Wyeast suggest that yeast can be harvested after the OG has dropped by 50%, however this might involve more constant gravity measurement than most home brewers perform. As can be seen in both the photos above, two days after pitching, the yeast (Wyeast London Ale III, Wy1318) is forming a raft 70-100mm in height above the wort with a nice rocky/solid/yeasty head, making it the ideal time to harvest the yeast by top cropping. However, the exact time when yeast can be top-cropped depends on many individual factors and there is no generic rule that can be followed, the fermenting beer must be checked periodically and top cropped when the yeast is ready. Top cropping is only possible when using a fermenting vessel that allows access to the surface-yeast, top cropping with enclosed fermentors is not usually possible. Photo taken a short time after the top cropping shown above. Top cropped yeast, harvested at high krausen is fresh, healthy and active, so it's best to pitched immediately into a new batch of fresh similar composition wort, where it will likely 'kick off' very quickly. 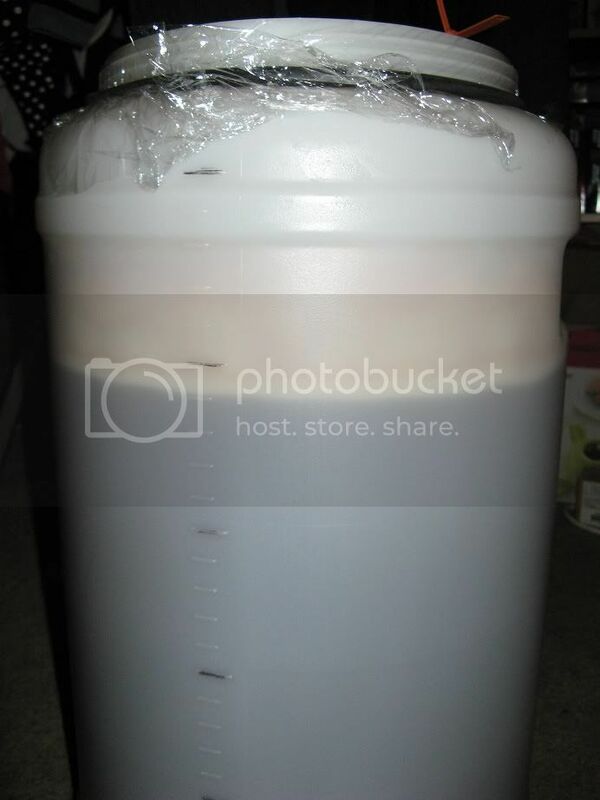 If you are not able to use freshly top cropped yeast, it might be better to wait and harvest the yeast after fermentation has completed and the yeast has settled. How much of the high krausen are you skimming? All or it? Couple Spoon fulls? Just what you need? You mention perhaps completing a second crop in as little as a couple hours, does cropping this much yeast have detrimental effects to the fermenting beer? Can you top crop too much yeast? I am cropping yeast from WLP022, Essex Ale, a true top cropper. I've completely two subsequent crops, each within 4 hours of one another. The third rise of the "krausen" looks significantly different than the first two. Very dense, sticky, maybe even hard. 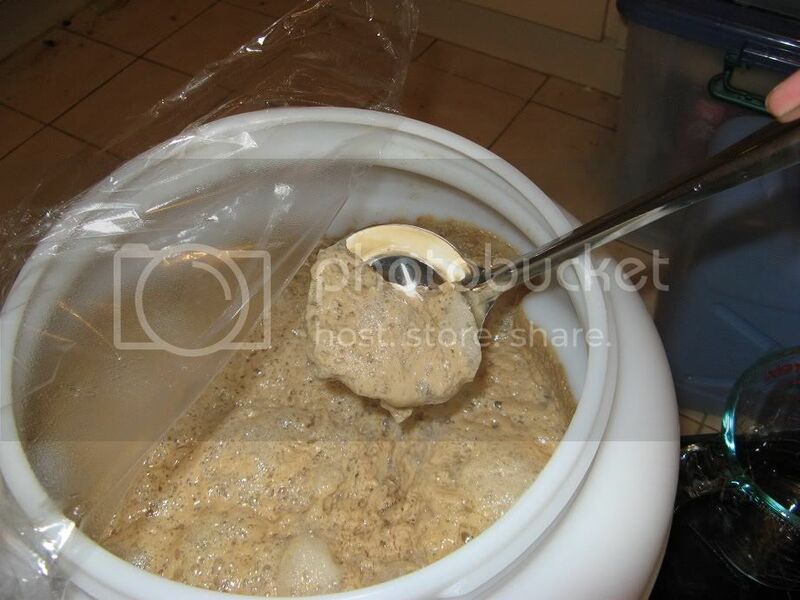 Is this third krausen suitable for cropping? 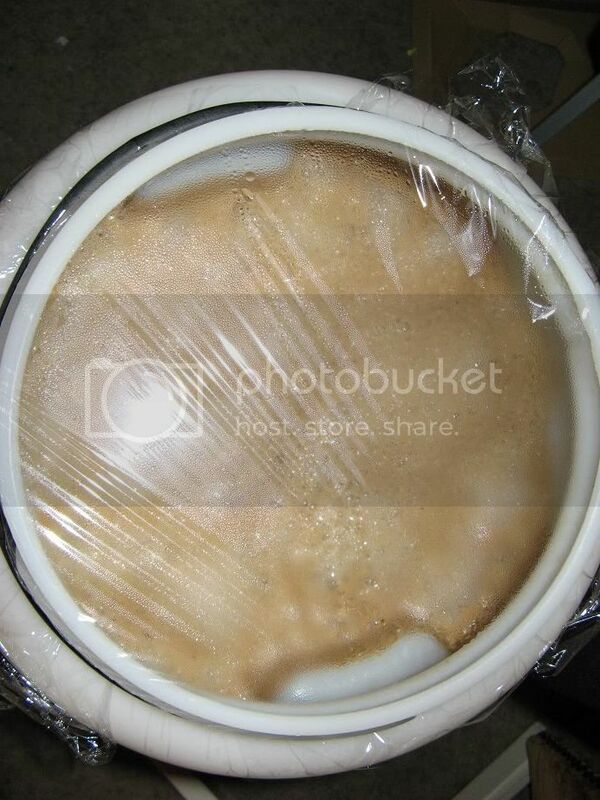 When the yeast is cropped and set into a jar, are you topping off with water? Does the yeast goes directly to the fridge or does it remain at room temperature to completely ferment out before going into cold storage? When bottom harvesting yeast, care must be given not to harvest from a high gravity beer since the yeast has gone through an intensive life cycle, may be stressed and may not be as viable in your next batch. Do these rules apply to top cropped yeast?